We wil leave Sorong city for eastern region of Waigeo is and. It takes approximately 2 hours to reach the island. After a short stop at homestay where we unload our bags, we will continue tour trip to an uninhabited island where we will enjoy snorkeling. We can also explore the forest of the island to see its tidal lake, watch birds, crabs, butterflies and walk on its white sandy beach. We will return before sunset. If there is still time, we will have a village tour to see Papuan people in their daily life Overnight stay in Rudolf's homestay. We will wake up early in the morning at 04.00 and then leave the homestay by motorized boat for Wararaf forest. Upon reaching the birding ground, we will start hiking to a hill where we will watch Paradise bird. We will watch birds until 09.00. Back to Sopen village, we will have brunch (combined breakfast and lunch). 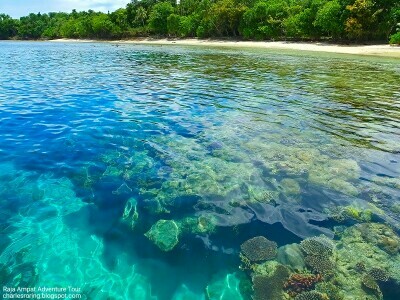 We will enjoy snorkeling at the other side of uninhabited island. 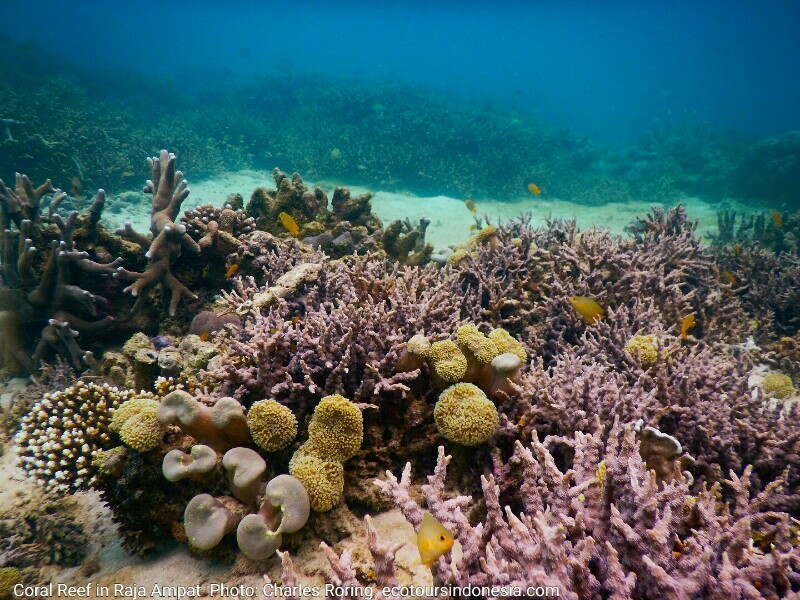 An underwater camera will be needed for taking pictures of marine life. We will return to the village and have a walking and birding tour at the back of the island to find Wilson's Bird of Paradise. Early in the morning, we will go into the fish lagoon and stop at the entrance of the forest where we will go hiking and birding to see various kinds of birds such as Palm Cockatoo, Sulphur Crested Cockatoo, Rainbow Bee-eater, Moustached Treeswift, Brahminy Kite, Yellow-billed Kingfisher, and a lot of other birds that live in tropical rainforest of Waigeo island. Cost: It depends on the number of participants. It is very expensive to travel alone. I highly suggest that the number of participants should be at least 4 people to share the cost. 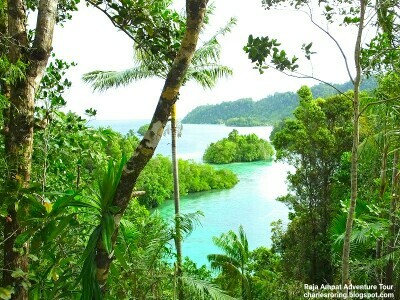 The cost includes transfortation by motorized boat between Sorong and north-east Raja Ampat islands, food, payment to local guides, and land owners, basic accommodation at the villager's house and in tents in the jungle. The cost does not include: airfare, accommodation in a hotel in Sorong before and after the tour, travel insurance and other personal expenses. Your own snorkeling equipment, flashlight, sun-block-lotion, clothing that is suitable for beach, and tropical weather. The above itinerary should be seen as reference only, it can be adjusted or altered depending on the weather condition.